Codemasters have a lot on their shoulders at the moment. Their vast reputation of being a solid developer of racing games precedes the F1 series but last year’s installment of F1 2012 began to give off a whiff of staleness. I mean, F1 2012 had what it needed really in regards to up to date tracks, a solid racing game and the bits and bobs that come with the series but it also came with a bit of criticism too regarding features being removed and the amount of patches needed to settle the game down following launch. It hasn’t quite been a rough ride, but it hasn’t been plain sailing either. This is precisely why I’m actually quite excited for F1 2013, which has finally been officially revealed by Codies this week for the Xbox 360, PS3 and PC. Now those who are up to date with all the news resonating from the world of technology may realise there are a few formats missing there including the upcoming PS4 and Xbox One consoles but this is a good thing as far as I see it; these are consoles yet to even be released and the focus at the moment will of course be on current generation development. Therefore, it seems sensible to me to wait a year and have a team focus on next gen development, creating a game that isn’t just ported up from the current gen consoles and being a crippling disappointment when every other game will be new games with the new consoles in mind. Trust me, good things will come to those who wait (for the future!). Anyways, I’m digressing a bit – back to my initial excitement! There’s been an array of features scurrying out of the announcement for F1 2013 that I think Formula 1 fans and gamers alike should really be looking forward to. The big one, for me at least, is the confirmation that F1 2013 will include ‘classic packs’ in regards to a set of classic cars and tracks from the 80s, 90s and a few newer tracks alike. The game actually comes in two editions – the Standard Edition and the Classic Edition, which is essentially a premium version with the game and all the classic stuff I just mentioned included. Of course, when we talk classic stuff it immediately gets tongues wagging as to what this will include. Well, from what’s been confirmed so far I think we’re being treated quite well actually. The 80s content includes some classic cars from Ferrari, Lotus and Williams with the likes of Mansell, Fittipaldi, Andretti and more. Attached to these illustrious names are the inclusion of old school Jerez and Brands Hatch too, which I’m really hoping means we can put modern day F1 cars on the classic up and down fun that is Brands Hatch. What I really like is, based on the videos of Jerez so far, these are the tracks from that era rather than the tracks as they are now so don’t expect any of the modifications made to Jerez since the 80s. Another pretty sweet feature I noticed was that the HUD of the cars from the 80s seems to reflect the lousy BBC basic typography on screen which I thought was a nifty little feature too, alongside the speedometer on screen changing depending on which classic car you’re in. All little features but very thoughtful inclusions. Onto the 90s next and the next set of classic bits of content we’re being treated to are various cars from Ferrari and Williams. Now I know what you are thinking already – if we’re talking classic cars from the 90s, where’s the MP4-6? Sadly, it seems there’s no ownership of the license within what FOM provide Codemasters for the car or for the Senna name so don’t get your hopes up for either. That said, I’d still expect Newey’s Williams FW14 and possibly the Rothmans cars later in that era too, seeing as Villeneuve joins the line-up of drivers who also include Prost, Coulthard and Eddie Irvine (who apparently isn’t just a legend in his own mind after all). The final bit of news with classic inclusions for F1 2012 is that we’re also getting Imola and Estoril, two tracks that have been out of the sport for a while but very much have a history in Formula 1 that makes people remember them, for all kinds of reasons. It’ll be really nice racing at these tracks in both old and new cars alike. Also, by the looks of things, Murray Walker should be involved in some way introducing the cars and drivers throughout the classic modes in the game which is always a brilliant bonus. Phew. Let’s take a second here to reconvene! There’s still plenty to discuss with what else F1 2013 is bringing to the table too. Another big inclusion I feel is the ability to finally save the game during the weekend and come back to it at another point. I really enjoyed doing the career when I could but sometimes you cannot justify the time to spend at least an hour going through qualifying and a race even on shorter session lengths so the ability to save after, say, practice and come back the next day to do qualifying is much appreciated in my book. So far there’s been no news on where Career Mode is heading though which is unfortunate. I really love the idea of a career mode in a game and having the chance to shape your own destiny, to make it awfully dramatic, but there wasn’t a huge jump from F1 2011 to F1 2012’s career modes. Hopefully they at least make some changes to take out the odd awkward bit here and there and spice it up a bit, throw in a few things that can change it from generic race to generic race and maybe look into investing some kind of way to making every race feel different. It just needs a bit of love and the lack of talk about the Career so far is making me worry that there’s no real change again in F1 2013. Codemasters have confirmed though there is a returning game mode that I know a lot of people will be pleased about and that is the bog standard Championship mode as a current driver on the grid. For some absolutely unknown reason it was removed from F1 2012 to no one’s delight and Codemasters never really gave a reason why. Whilst I’m delighted to see it back, it still beggars belief why the ability to race as a driver through the championship was removed in the first place. There’s also been more work done on the Young Drivers’ Test in the game which is, essentially, a tutorial that no one cared about quite frankly so I’m struggling to garnish any interest in the YDT for F1 2013 either. So what’s next for Codemasters then up until the release of the game in September? The biggest thing for me is that they now have these last two months polishing the work they’ve done and making sure the game that gets released isn’t needing several patches to resolve bugs, as has been the case in recent years. I’ve only really discussed the new features in the game but we should also consider changes to the handling system, how different the cars will feel from classic to current, the changes in tracks from old to new and other areas of gameplay that may have been tweaked over the last year. 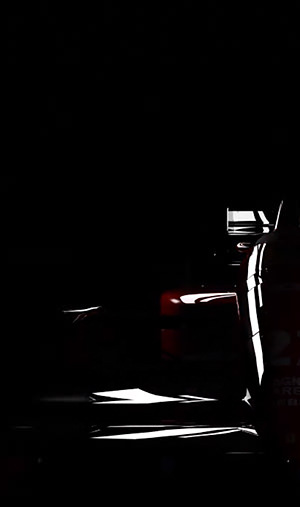 Judging on screenshots and videos coming out of the announcement, F1 2013 looks to be a bit cleaner graphically and the HUD on the videos seems to have much more of a similarity to the on screen graphics used on FOM’s television coverage so that familiarity, if the case, should be pretty welcoming too. I’m really quite excited for this title and I think it’s going to attract a much wider level of interest than the last installment or two of the F1 series purely because of the classic cars inclusion. Codemasters have their critics and there are those who won’t give them any time as they seem to feel burnt by disappointment of previous F1 titles but it’d be hard to criticise the amount of work that seems to be going into making F1 2013 a stand out title from previous years and keep people interested. Having new content from previous years opens the possibility of downloadable content further down the line too, which is another discussion we could have, but I’ll be interested to see if Codies take the plunge or have a chance with the license they have to offer further cars, drivers and tracks. As I say, as long as we have a bit of Rubens then it’s all good really. F1 2013 will be coming out for Xbox 360, PC and PlayStation 3 in September at the time of writing. Codies have confirmed that a Wii U, Wii or PlayStation Vita version is not in the works. For more official information, check out the Codies Blog and if you’re looking for videos on F1 2013 gameplay I highly recommend TeamVVV’s Youtube channel.